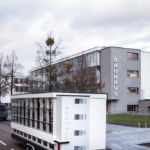 To celebrate the 100th anniversary of the founding of the Bauhaus school by Walter Gropius, a bus modeled after the school’s historic workshop building in Dessau, Germany, will take to the streets worldwide. 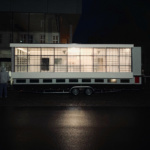 The miniature version of the modernist building, famous for its stark white volumes, enormous windows, and vertical Bauhaus signage on the narrow end, was designed by the Berlin-based Van Bo Le-Mentzel. 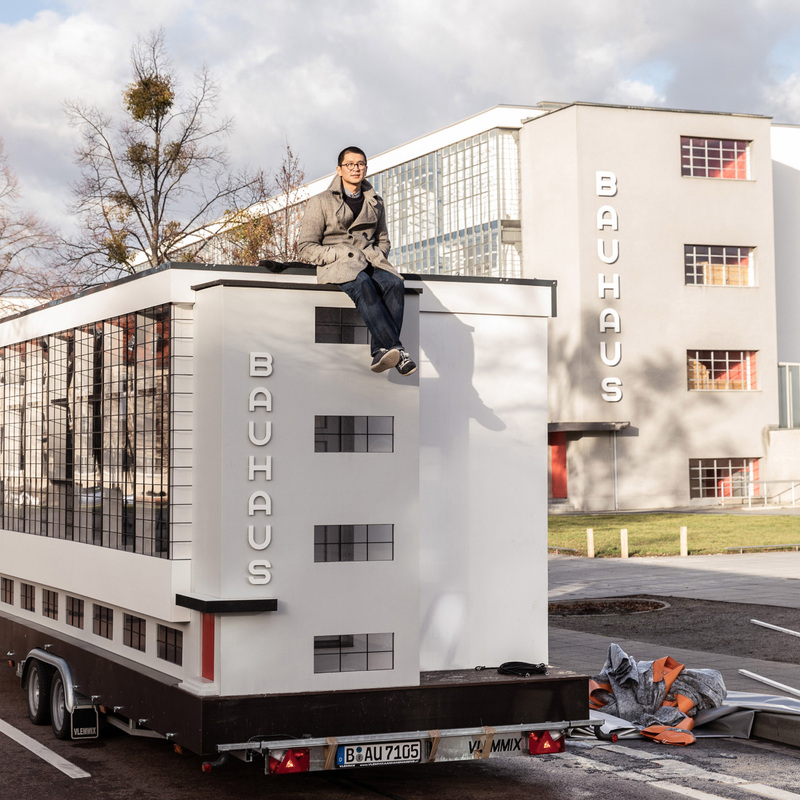 Inside the 161-square-foot mobile apartment, dubbed Wohnmaschine (“living house” in German), an exhibition and workshop space will join a miniature reading room full of books about the history of the Bauhaus. 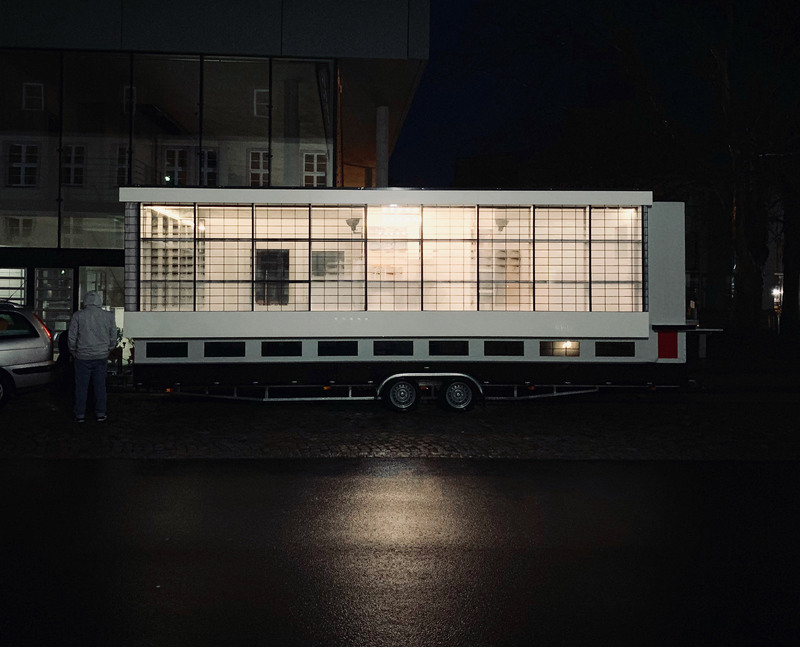 The bus kicked off a 10-month-long worldwide tour on January 4 in Dessau outside of its full-size peer. 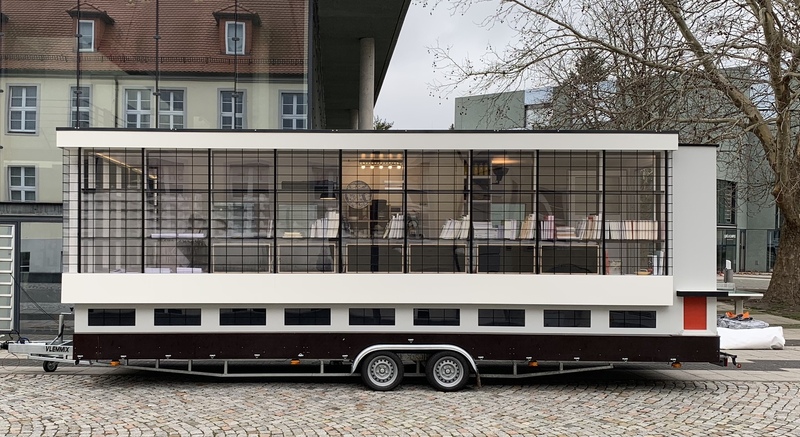 The tour’s goal, according to design group SAVVY Contemporary, who is hosting a series of workshops and panels in the bus, will be to challenge the traditional colonialist narrative that has become intertwined with modernism. 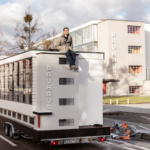 The Bauhaus bus and its associated lectures and shared learning are all part of SAVVY’s SPINNING TRIANGLES project, which aims to bring in design philosophies from areas of the world that have been traditionally marginalized. 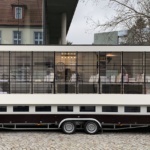 From January 4 through January 22 the bus will be in Dessau, after which it will depart for Berlin. 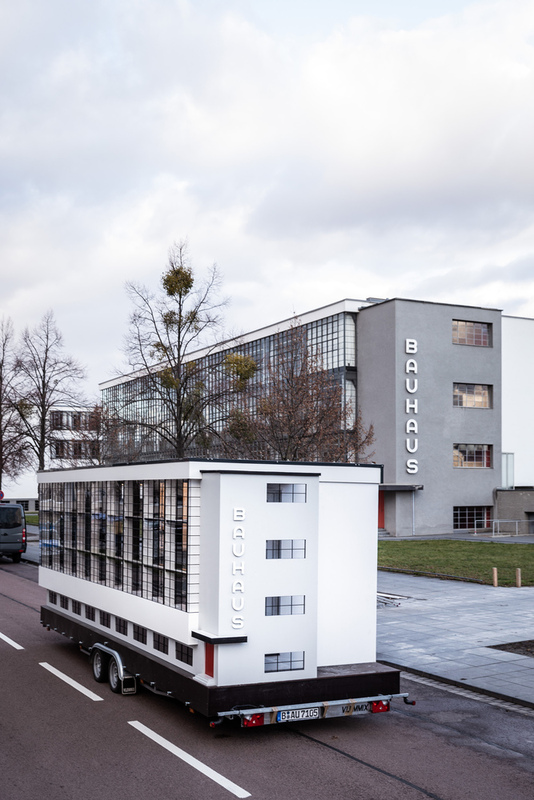 From January 24 through 27, the bus will be parked in the German capital to coincide with the opening of the 100 Years Bauhaus festival. After that, the mobile school will go abroad and land in Kinshasa, the capital of the Democratic Republic of the Congo. Through forums and dialogues with design professionals in Kinshasa, a view of a collective modernity will be established. Five “masters” will take back what they’ve learned from Kinshasa to SAVVY Contemporary’s Berlin office to educate 40 students on their findings from July 22 to August 18. 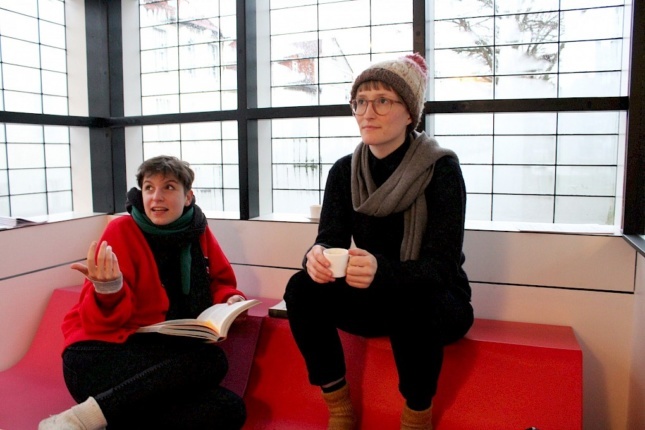 The bus’s final destination is the Para Site art space in Hong Kong, where the findings from its past trips can be expanded on.